Relationships are made up of both happy and dull moments. While the journey through the upheavals can be difficult, a touch of warmth is all you need to smooth things over. 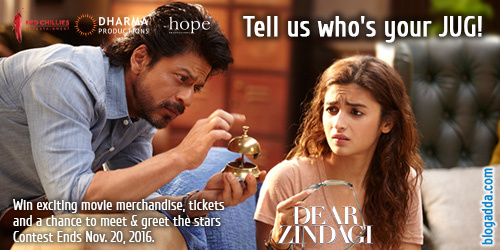 ‘Who’s Your Jug?’ – #DearZindagi Activity! ‘Friend’ the one with whom you can share all your secrets, insecurities, anxieties and guilty pleasures. Who listens to all your cries and sobbing over the phone. This special person is like a lifeline to save you from all life’s horrors. The one you can wake up at an ungodly hour. You know you can bank onto them to give you a patient listen. Just like how Alia’s ‘Jug’ (Shahrukh Khan) in the movie Dear Zindagi enunciates the qualities of a true friend. Who’s your jug? The one who holds the closest spot in your heart! 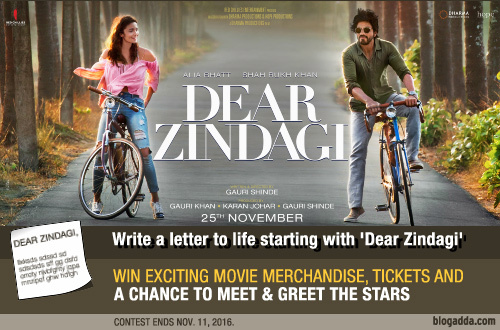 A Letter To Life – #DearZindagi Activity! Zindagi is a journey filled with milk and honey but also, non starrer stories! It’s not too often that we express our love for life, but, It’s time we appreciate it and pen down our feelings towards it. Let’s cherish life and snuggle it with love, with the gift of words. 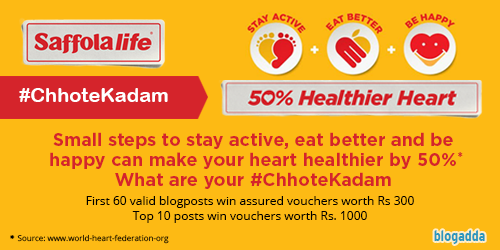 On the occasion of World Heart Day, take a small step with #ChhoteKadam initiative with Saffolalife and keep your heart happy and healthy! Be a #BestZapCurator this weekend and win brain zapping prizes! [wpdevart_countdown text_for_day=”Days” text_for_hour=”Hours” text_for_minut=”Minutes” text_for_second=”Seconds” countdown_end_type=”time” end_date=”20-08-2016 23:59″ start_time=”1471689064″ end_time=”1,7,56″ action_end_time=”hide” content_position=”center” top_ditance=”10″ bottom_distance=”10″ ][/wpdevart_countdown]For each one of us, our choice of clothing, accessories, interior decor and everything else that we surround ourselves with is a reflection of our style. Some people are naturally born with an innate sense of unique style, that stands out from the crowd. 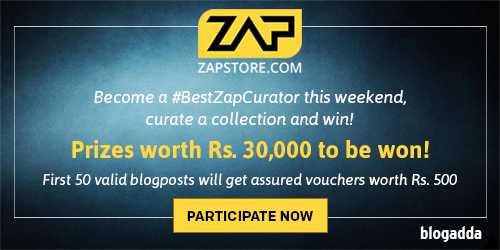 If you consider yourself part of this group, we have just the right weekend offer for you – be a #BestZapCurator! 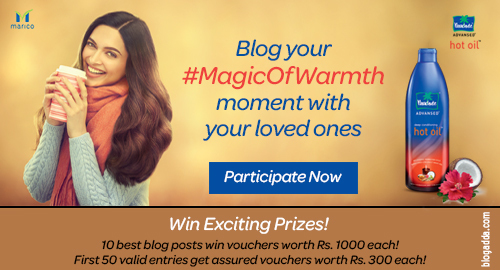 Blog about your dreams for the Stoodnt #AdviceThatMattered activity! [wpdevart_countdown text_for_day=”Days” text_for_hour=”Hours” text_for_minut=”Minutes” text_for_second=”Seconds” countdown_end_type=”time” end_date=”19-08-2016 23:59″ start_time=”1471596447″ end_time=”2,9,41″ action_end_time=”hide” content_position=”center” top_ditance=”10″ bottom_distance=”10″ ][/wpdevart_countdown]‘What do you want to be when you grow up?’ Is a question that every child is asked. This question is enough to spark dreams among kids, and put them on the path of fulfilling their aspirations. As we grow up, some of us forget the lofty dreams we had and look for more sensible options. On the other hand, the ones who get the right guidance fly high and achieve what they set out to do. 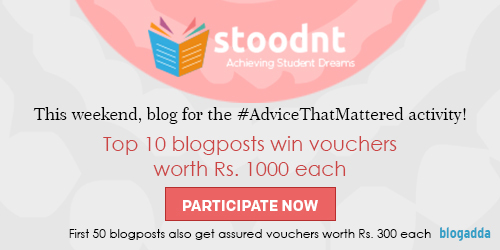 We want to hear all about your dreams and the guidance that helped you along the way for the #AdviceThatMattered activity in association with Stoodnt!